Nigeria has the largest numbers of out-of-school children in the entire world. About 10 million children are reportedly not enrolled in formal educational institutions at any given time. Most of these are northern children, popularly called “Almajiri,” who have been sent out of their homes to study in multitudes under a single Mualim, typically surviving and paying their tuition by begging while living in squalor. The former Goodluck Jonathan administration attempted to assist these Almajiri with a “wasteful” “Almajiri school” project. While perhaps the idea behind the program was good or politically beneficial, the concept of schools for abandoned kids in itself was erroneous and prohibitive. Abandonment of children should be outlawed as a whole in keeping with Nigeria’s constitution, international laws on the rights of a child and religious regulations. A child has a right to education but also has the right to a family. The Islamic religion which most of these kids belongs to, firmly discourages begging. Under no circumstances should children be abandoned to be raised like animal herds in their hundreds under a single Mualim. Personally I am hurt that 5 years after my article, “Almajiri and the Nuclear Alms Race” published by SaharaReporters in 2013, absolutely nothing has changed. Our AlmajiriProject.com had hope that with Buhari, a northerner taking charge, the illegal Almajiri child abandonment system only practiced in Nigeria and environs, and not any other Muslim nation, would be soon outlawed and the reuniting of the many cheated children with their families or their transfer to proper adoption homes, would be aggressively initiated. It is a few months to the end of the Buhari government and the Almajiri abomination continues without a care from the administration. The millions of children remain desolate, hopeless and abandoned by the larger society. 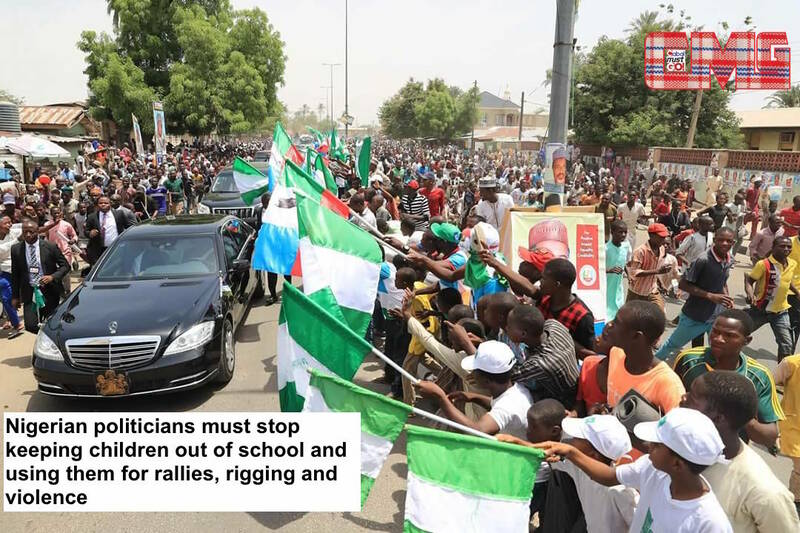 Worse yet, it has become noticed that the Almajiri children are tools in the hands of politicians who exploit them for rallies, for protests and even for illegal voting and terror. President Buhari’s recent trip to Bauchi was a recent saddening example where it was noticed that Presidency photographer Bayo Omoboriowo captured images of the many Almajiri children who filled up the crowd that welcomed the president and gathered for stadium photo-ops. Every ramadan and sallah festival, when ENDS.ng and the AlmajiriProject.com organises to feed as many of these children as we can afford, the misery of their condition re-imprints itself on us. While inviting all Nigerians to participate in the feeding of Almajiri children this ramadan, many of whom fast on nothing and break their fast on nothing again, we implore the Buhari government to make use of its remaining days in office to do something good for the horrific crime against humanity being perpetuated by the larger society on these innocent and undeserving little victims. 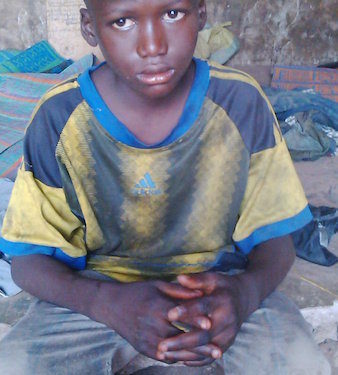 Outlaw Almajiri child abandonment and begin the reuniting of these children with their families and the transfer of all others to proper adoption homes. They deserve a better life!